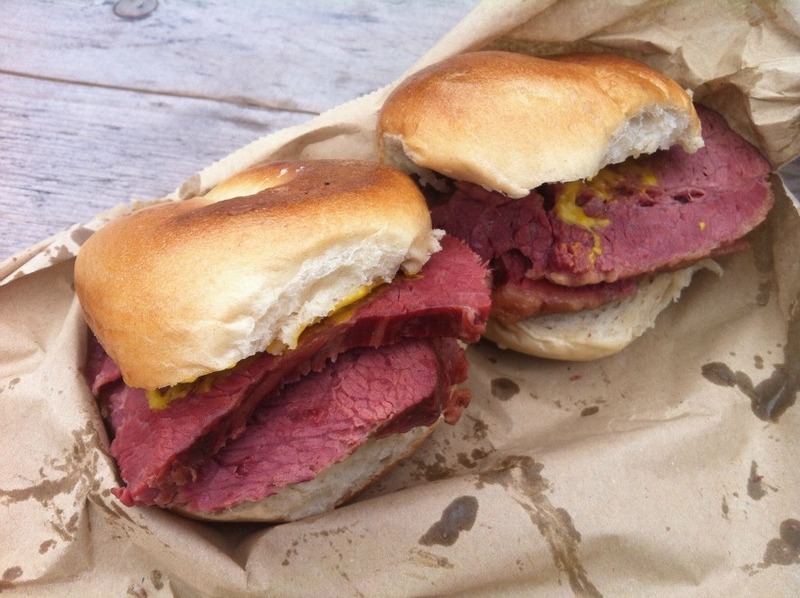 A late night London classic: Beigel bake. As we creep further towards becoming a 24-hour city, London’s late night dining options are growing in number. Our last look at all-night grub was way back in 2013, so here’s an updated list of the best places to consider if you find yourself with a case of the midnight munchies. Polo Bar is ideal for those among you who like to eat breakfast for dinner, or indeed at any point over a 24-hour period. This caff has been open outside Liverpool Street station since 1953, and it now serves bacon, eggs, pastries, pies, sandwiches and desserts from breakfast right through to um, breakfast again. There’s also a range of Meantime beers, wines, spirits and of course the option of a bottle of Dom Perignon to go with your beans on toast. Well, it is in the City. Ranoush Juice sells consistently great Lebanese food and it’s open until 3am, seven days a week. The menu is large, but for us it’s all about the shawarma wraps, particularly the lamb. Spiced meat comes thinly sliced and dressed with tahini sauce, tomato and a range of pickles, which the Lebanese do so well. There’s no alcohol license but that’s probably for the best in many cases. Take the opportunity to rehydrate with a fresh carrot juice (no really, the carrot juice is excellent). Killer from the griller. 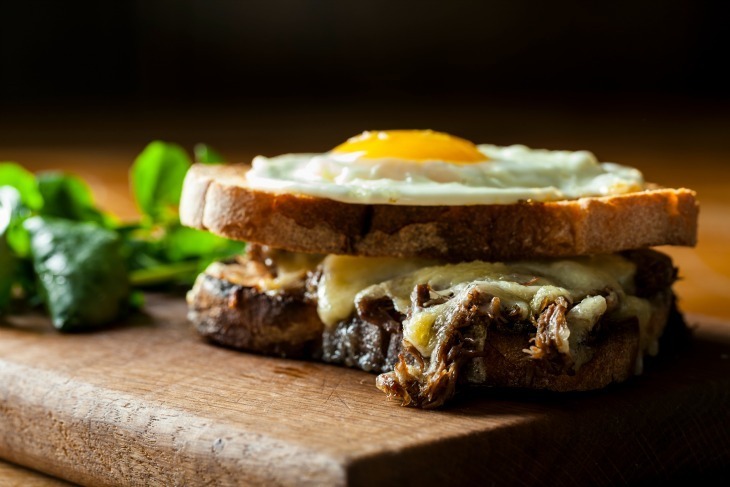 The ox cheek toastie at Duck and Waffle. How could we not mention Duck and Waffle? Playground of foodies and City boys, this restaurant on the 40th floor of the Heron Tower is known for its stunning views and great food, two things which very rarely go together when it comes to London restaurants. Chef Dan Doherty is famous for dishes such as crispy pigs’ ears dusted with smoked paprika served in a paper bag, ox cheek grilled cheese sandwiches (one of our favourites) and of course, the duck and waffle. All of those are available from the late night menu (served until 5am). You’ll have to be fast to secure a place at this supper club, which takes place on the last Saturday of every month, and has just FOUR places reserved for members of the public. The Dairy’s Robin Gill started the club after a conversation with fellow chef Nuno Mendes in which they agreed there was nowhere for chefs to eat after they finish the evening’s service. It’s £70 a head for some seriously good cooking from some of the best chefs in London so if you’re really into food, this is one to look out for. Follow them on Twitter to keep an eye on tickets. Can’t be bothered moving from the sofa but don’t want another pizza? Feast could be the service you’ve been waiting for, providing you live within the typically central delivery zone. 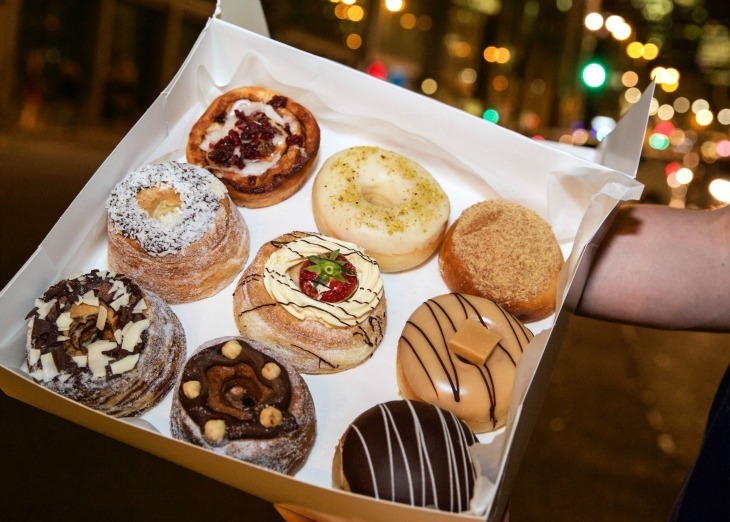 They’ve currently got five restaurants on their books (two of which are Polo Bar and Beigel Bake), including Dum Dums Donutterie, for those in need of a sugar high in the middle of the night. This head chef here is ex Chiltern Firehouse and the sommelier ex Sager + Wilde, meaning it was set to be popular with the trendy set right from the start. What's impressive is that the kitchen stays open until 1am, serving dishes such as Dexter rib with capers and fig and fennel tart. The bar and off-licence is open even later, until 2am.